I went to Ide Town Cherry Blossom Festival. 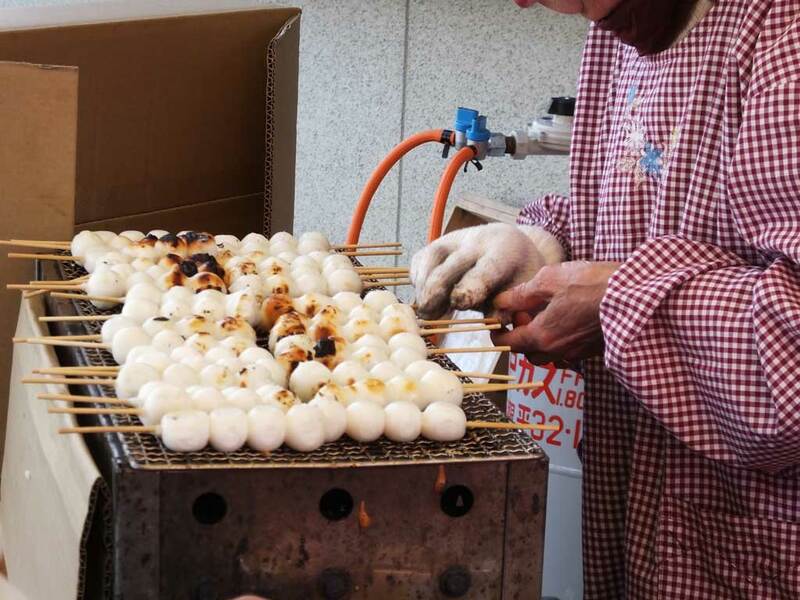 An old lady was making dango (Japanese dumplings) there. 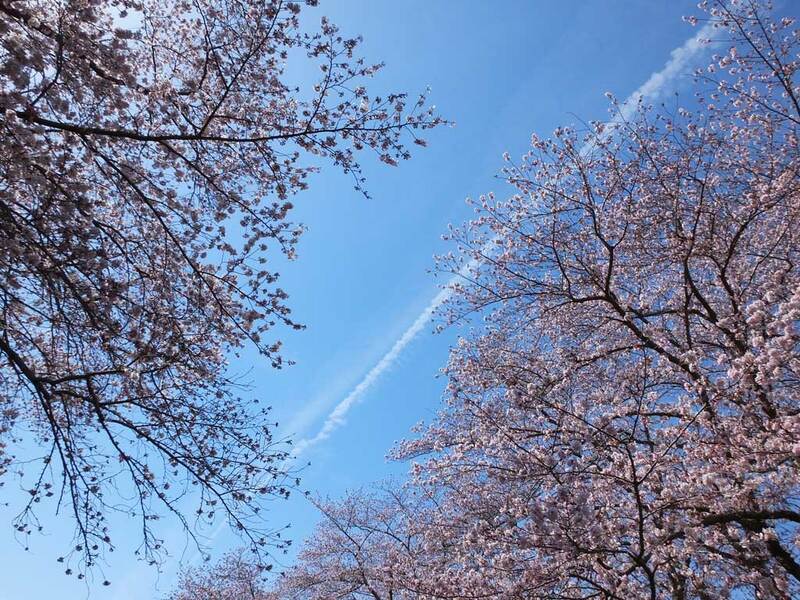 When I looked up, I saw a contrail with cherry blossoms.